The rise of podcasting as a medium to reach and influence audiences, grow brand awareness and promote your business continues. I’m delighted to announce that Terry Baucher, a self-confessed “Tax Nerd” has launched his podcast – The Week In Tax with the help of Creative Agency Secrets. Terry has long been a broadcaster called on by news media to be an expert commentator on tax matters – working with radio and TV stations in New Zealand. This heavily influenced our recommendation that he move on from a written weekly summary of tax news which had been drawn from his twitter feed, to an audio podcast. We chose both an audio and a video medium for this podcast. [Note, this is not suitable for everyone] and SoundCloud is the distribution medium for the RSS. The client blog hosts embedded audio files (easy for people to listen to who aren’t comfortable using RSS or Podcast apps) and remains the central source of all content. We also chose to add in a transcript for those who prefer reading to listening. The medium is growing fast and many people now prefer to customise their listening and viewing to fit times of day they choose. Growing your brand reach through podcasting can be very effective. Many B2B marketers and brands are using LinkedIn intensively as a channel to market, building awareness and interest in your offering. LinkedIn is NOT EFFECTIVE a direct marketing channel – it’s for brand marketing. Today I have a challenge for you. Followers. Go to your LinkedIn page and log in. Then navigate to your followers page. The link is the same for everyone. Followers – people who follow your updates. This includes all your connections. Below each person’s profile and job title is a check box showing if you are following then or not; and the number of people who are following them. This makes it easy to filter. And one click to follow them back. LinkedIn works best as a business development platform if you have a clear client persona; have a clear content writing strategy [topics, frequency, audience]. Targeting the right audience with good content, regularly. Unlike Twitter, LinkedIn does not have a ratio of following to followers throttle. And remember, following someone is a great way to get their insights, to become acquainted with their perspectives as a precursor to connecting. Famous people have lots of followers. If you are trying to break into a marketplace and build a solid profile, my recommendation is this. Follow people whose follower count is low-to-medium. Their news feed won’t be too cluttered and your content stands a better chance of getting noticed and commented. Solving marketing problems is difficult. I don’t like doing it – unless I know a solution or have a good, educated guess about what could work. A client situation emerged which serves to illustrate the challenge. We reached an impasse. I had offered advice, our progress was smooth until we got to the point of marketing to new customers who don’t yet know the brand. And one of the client team was deeply opposed to the tactic I proposed. I’ll explain how we got through this later. One of my podcasts summarised three types of problem – messes, problems and puzzles. These are ‘complex’ problems – ones with multiple factors affecting the situation. Modern marketing gets more of these – because with omni-channel promotions it’s increasingly hard to isolate a single input-output signal to explain an outcome. Messes are ill-defined in form and structure and so are most like real life. Problems have a defined structure with potential solutions, but none are absolutely clear and right. Puzzles are well defined and have specific solutions that can be worked out. Most of us crave certainty and as much control as possible. Politicians and business leaders are just the same and perhaps even more so. ‘Bring me facts and experts. I want a solution now!’ By implication, those in positions of authority tend to treat most issues as puzzles, sometimes problems and never messes. As a result they tend to seek shortcuts to answers that are probably wrong. The biggest mistake is to carve out part of a mess, treat it as a problem and then solve it as a puzzle. This can lead to very bad decisions. We reviewed the situation and whether it was a complex problem or not. It was. It wasn’t a puzzle because the structure of marketing activity was reasonably clear-cut. It wasn’t a mess because there was structure, there was a framework of activity and the desired output was prospects who hadn’t previously known about the brand. And so we decided this was an actual problem. Then I walked away and left the client team to discuss. They have not specifically told me what they discussed or what they decided. But it’s clear we are still working together. And so I am presuming the first (tentative) step towards the leap of faith activity has been taken and I’ll hear what the outcomes are in due course. I was checking the analytics on a client site and saw a referral from a website I did not recognise. And so I investigated it. After typing in the reach-publisheral website address manually (I always do this in a new browser window), an automatic redirect came into effect and I ended up on Pingl.net [no, don’t follow that link please]. In the SEO world there are goodies and baddies…. and it’s a game of tension between the unscrupulous on one side and those who follow search engine websites’ guidelines on the other – refereed by Google and Bing. Black Hat is the term given to tactics that are underhand and try to cheat the system. White Hat is the opposite – those who work within the framework set by search engines. Updates to search engine algorithms are usually driven by their desire to undermine black hat tactics. After a quick search I found several other commentators had found referrals in their analytics also coming from Pingl. This rings alarm bells. A set of clever Black-Hatters masquerading as authentic “growth hacking” tacticians. They use a technique called notification referrer service which is basically a spam referral to your website. By masking their site identity they make the link “appear” to come from another site – reach-publishinglo in my case (but others report variants on Ali Baba). This domain is setup with the sole purpose of sending you to pingl’s home page – it refers you directly to them. Although you may be getting a lot of referrals from the masked page, it is not real traffic, and it can ruin your SEO – notably your bounce rate. Happy new year everyone. I’m loving being on summer break – but it doesn’t stop me researching and finding top new tools and ideas for digital marketing success. Found this great site which can help you identify LSI keywords for your website SEO. LSI (Latent Semantic Indexing) keywords are words that are commonly found together within a single topic and are semantically related to each other. So they help you understand the connections and correlations between groups of words and phrases – so you can select good ones to use on your natural website SEO. I did a quick test for a client and found a list of over 10,000 [seriously, who needs that many?] to download. The site asks you to list up to 10 “seed” words before it runs the analysis. And then I reviewed the listings and found a lot of non-relevant words – so I refined the seed words to improve the outcome, downloaded and got my list. Next step – back to the Google Analytics query to assess the current search results and revise / review and improve. Who starts first – marketing or sales? I think you have made significant progress in understanding three things which are essential to a successful new business development process. Validation that there is a flow through activities from awareness, interest, desire, action (AIDA)…. e.g.XYZ is moving down that funnel well. Also you have closed off the funnel for ABC and won’t waste time with him – he got returned to a ‘holding pattern’ in the newsletter mailing list. Recognition that we need to get to know more new people and to find ways of becoming relevant to them – from personal chat / email to newsletter subscription to face to face meeting. My guidance is being acted upon and you are seeing results which will bear fruit. Also it’s forcing you to challenge presumptions and to run little experiments to see what the market responds to. These both change over time and so I have learned never to guess. But you knew that, didn’t you? Creating a set-up that delivers a stream of leads for your business is how successful sales and marketing combine in a B2B organisation. The underlying principles are the same for every firm yet the implementation and the diligent persistence of action is frequently what sets apart the successful from the rest. Who starts first? Marketing or Sales for new business success. If you’d like an appraisal of your current situation and recommendations for improvement which you can implement yourself, get in touch. 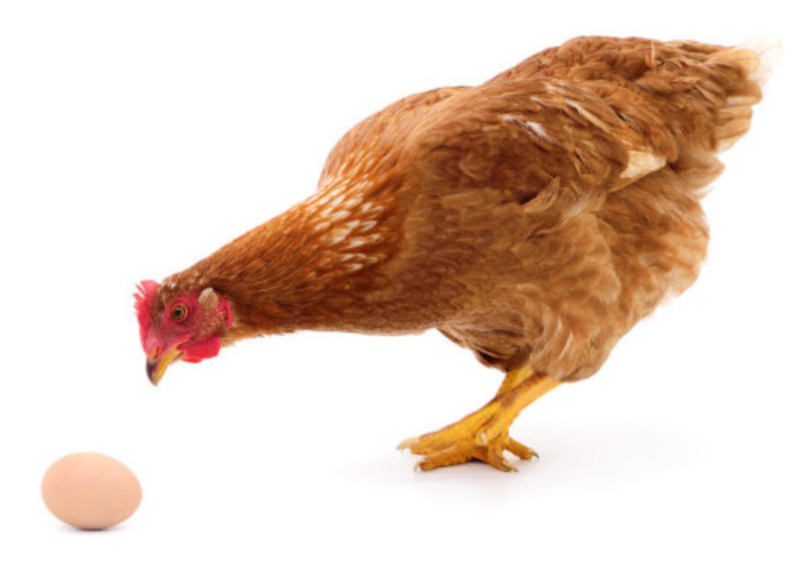 Chicken or Egg; which comes first? So to answer the question – it depends. No, that’s not a cop-out. Marketing comes first when the firm already has revenues and is looking to grow average size of sale, launch new products or new markets. Sales comes first when the firm has a product and is not yet profitable enough to invest in intensive marketing or isn’t converting enquiries to revenue. https://creativeagencysecrets.com/wp-content/uploads/2018/11/Which-came-first.png 642 900 Rebecca Caroe https://creativeagencysecrets.com/wp-content/uploads/2014/04/CAS_Logo_1line_RGB.jpg Rebecca Caroe2018-11-15 09:00:582018-11-15 11:00:43Who starts first - marketing or sales? My SaaS has 7% conversion rate, how to improve? My eCommerce SaaS has a conversion rate of 7% (2 new subscribers a day). I only get 1200 page hits a month though. How can I get more traffic? The service is called Trendosaur. It helps online retailers make money by showing them the most profitable products to sell. My subscribers love the service. I’ve been running it for just over a year. The landing page is converting really well, but now it’s time to scale up the traffic numbers. Finding it really hard to get more than 40-50 page hits a day. Any help would be greatly appreciated. I know you should not rely solely on inbound traffic. That’s a fool’s errand in today’s crowded market. Other marketers will suggest SEO, Content Marketing, Lead Funnels, Keyword search terms, LinkedIn Content, SEM, Social adverts, remarketing. All good ideas and definitely part of the marketing mix needed – but they miss one fundamental comprehension of how modern marketing works. When you take a product to market you need both awareness and targeted prospective buyers. The joy of inbound is that if someone is looking, with good SEO, Keywords and Content Marketing you can appear in search results. But for B2B markets, rarely is someone looking and the search volumes are so small, so niche that these volumes won’t deliver you the customer buyers in any great size or at scale. Outbound Selling. Research a list of retailers who could use you and approach them direct. Direct sales is very powerful – it draws attention to you and then your content marketing / SEO will serve to bring them back to your site. Sponsor a retailers podcast like Ecommerce Fuel with a landing page / special sign up deal. I used both of these to grow Rowperfect.co.uk/shop such that we now have a paid Christmas promotion page based on that list which is a great case study for this method. https://creativeagencysecrets.com/wp-content/uploads/2018/11/trendosaur-2.png 624 1232 Rebecca Caroe https://creativeagencysecrets.com/wp-content/uploads/2014/04/CAS_Logo_1line_RGB.jpg Rebecca Caroe2018-11-13 09:23:272018-11-13 09:23:27My SaaS has 7% conversion rate, how to improve? I got a call this week and asked to advise an event which is for business to business audience how I could help them double their attendees in the last 4-5 weeks before the event happens. Telesales follow up to all webinar attendees (and non-attendees). Best to use GoToWebinar as it tells you who attends. I do not think affiliate marketing would work in New Zealand for B2B events. But offering a second ticket free if one person buys can add headcount. I do not think radio advertising will work because which station(s) do all your target audience listen to? But podcasting could. Find business podcasters in your niche. Today I received a GDPR email message from a LinkedIn connection – we are 1st degree connected. But because he’s in Europe, all his written electronic mass communications are now governed by GDPR – the European Union legislation General Data Protection Regulation. The full email is reproduced below. Here is my analysis of why it’s such a nicely composed text. If you are in B2B marketing, I recommend taking a close look and deciding if this sort of annual review of your mailing list is appropriate. Because we pay (mostly) for our email mass communications in a monthly fee calculated on the size of our mailing list, it’s worthwhile doing a “cull” to remove people who are either not reading your messages (since Gmail introduced the tabbed viewing this has increased for my list) or those who are no longer relevant to you or vice versa. It keeps your messaging tight and focused. The opener explains why – in large font. The subject line is “Why did we connect in the first place?” so I was intrigued to open it. The addressee (me) is personalised. The four points summarise Paul’s brand offering and gives me more reason to check out his current work. He gives permission to unsubscribe and suggests reasons why I should do this. So here’s his article in which he explains what IDK means and here’s the list management options for future communications showing my selections. I think this is clear and totally appropriate. Get in touch if you’d like me to review your mailing list strategies. Rebecca, You are receiving this email because we are 1st. grade connected on LinkedIn. Was it because my profile caught you attention, or was it something in my Company page which appealed to you? Was it one of my groups on Business Development or Logistics Collaboration that inspired you? I know …it’s my management books drew you over the hurdle, and gave you courage to send me an invitation! Or you wanted to network and reach out to bring your services or product under my attention. Good because Linked-In delivers leads! We are lost without connections! All good reasons and fine with me…, as these are my reasons too. By connecting 1st grade you signed-in = pre GDPR opt-in – when accepting the connection request. Your connection is as valuable to me as exchanging a business card containing all contact data during a life network event. A licence to contact… by phone, fax (I still remember), mobile phone (now WhatsApp), mail … This in order to set-up a business deal, meeting (now virtual) and social event… stay in contact. And which is more, exchange or reach out for knowledge, an introduction, bring articles, whitepapers, books – all now with e- extension – which added to our success to each other’s attention and use. Shortcutting the learning curve, avoiding pitfalls, grow faster. It is cumbersome to maintain contact with your network (it contains the verb …work) so here is how I do it: I am a giver – the golden rule in networking: give and not expect to be given – by sharing courtesy content, summits, introductions…. Proper GDPR set-up in place to safeguard and cherish our contact. When your interest, position, business evolves, it is okay to: * Unsubscribe * or hit the * No longer interested *, * Unspecified * , * Other * (a reason appreciated) tab. No hard feelings! But don’t throw * Did not sign up * back at me because you did – pre- GDPR – check your linked-in connection list. It gets worse with * Inappropriate content *: how am I supposed to know things changed when you are not telling me, your once 1st linked-in chosen contact, what changed, what your interests are today… so Update your preference. Have we lost the art of 1to1 communication? I for one will never do that. Never!!! Having said this, I rest my case with respect for your decision and the consequence that our 1st connection will be discarded. You are receiving this email because we connected on LinkedIn. Your data will never be shared without prior information.